For Individuals and Families Looking for a Way Out of Alcoholism and Addiction. The Mission of the Wolfe Street Foundation, Inc. is to provide facilities, education and outreach for the Central Arkansas community for persons and their families seeking recovery from alcoholism and addiction. Wolfe Street Foundation is Arkansas' largest 501 c3 dedicated exclusively to recovery from alcoholism and addiction. 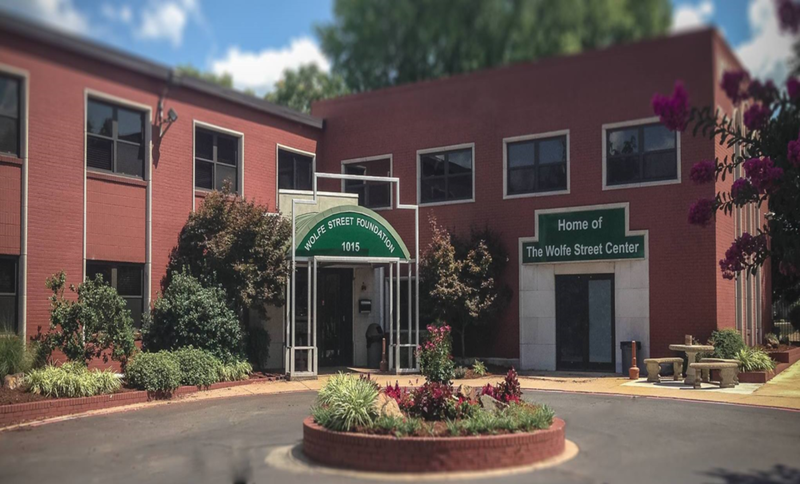 Since 1982 the Foundation has owned and operated Wolfe Street Center; a large facility in downtown Little Rock offering meeting spaces for recovery groups. For more than 35 years, we have been the 'first stop' for people and families looking for solutions to end the cycle of alcoholism and addiction. Wolfe Street Foundation also offers prevention, education and outreach programs to the community so others may understand this devastating condition. 16 of the 24 hours in a day, we welcome you to come recover. Wolfe Street Center is a lively place where food and fellowship are central to our mission. We serve meals, host workshops and welcome around 100,000 people through our doors to attend all types of recovery meetings. Wolfe Street Center is open 365 days a year and no one is ever charged a penny to participate.